What is a Pension Scam? There are many different types of pension scam – just as there are many types of genuine pension scheme. This can sometimes make it difficult to tell the difference so we are her to help you inform you about, what is a pension scam. 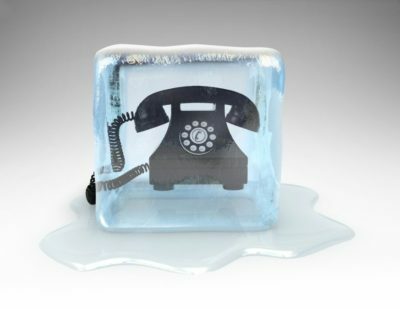 Cold calling: always be suspicious of a cold caller. This can come as a text, phone call, email or even a smart-looking individual at your door! Some cold callers may even imply that they are from the government or another government-backed organisation. What the scammers don’t tell you is that taking any part of your pension early (before 55 years of age) DOES result in tax charges. These charges can be up to 55% of the amount you take – even if you were told it was a “loan”. With HMRC on your back for this tax demand, it will be hard to remember the pleasure of the money you received. Plus, whilst you are distracted with your tax demand from HMRC, it is likely that the rest of your pension fund is taking a nasty tumble. Pension scams can involve various types of pension arrangements from QROPS and QNUPS to occupational schemes and SIPPS. These arrangements are not, in their own right, bad. However, if they are used for unsuitable investments, they most certainly can be. Know about these investments means you will know about what is a pension scam. The investments inside the schemes can range from high-risk, professional-investor-only structured notes to toxic, illiquid, risky UCIS funds (Unregulated Collective Investment Scheme – illegal to be promoted to UK residents). Whilst these types of investments are not illegal in their own right, they are only suitable for certain people with deep pockets and sound investment experience. Or, alternatively, they are totally unsuitable for pension funds – full stop. When taking advice on transferring your pension fund you should always ensure the adviser you choose is either based in the UK OR in the country you reside/plan to reside in. Alternatively, you must make sure the adviser is regulated and qualified for pension and investment advice in the jurisdiction where you reside. Some of the pension scams that we are aware of are Ark, Capita Oak, Evergreen QROPS, Henley Retirement Benefit Scheme, Westminster, Trafalgar Multi Asset Fund, Continental Wealth Management (CWM), London Quantum. The underlined scams are being investigated by the FCA. Cold called about your pension? Hang up! If you think you’ve been targeted by an investment scam, please report it to the FCA using their reporting form. If you have lost money to a suspected investment fraud, you should report it to Action Fraud on 0300 123 2040 or online at www.ActionFraud.police.uk. The FCA has launched a new campaign ScamSmart. If you have doubts about what to do, ask The Pensions Advisory Service (TPAS) for help. Call them on 0300 123 1047 or visit the TPAS website for free pensions advice and information. Beware of being targeted in the future, particularly if you lost money to a scam. Fraudulent companies might take advantage of this and offer to help you get some or all of your money back. With out due diligence and knowledge you often won´t realise that you are the victim of a pension scam until its too late. Its best to have the knowledge so you can tell what is a pension scam and what is a genuine pension scheme. Therefore, Pension Life has written a series of blogs about pensions, pension scammers and how to safe guard your pension fund from fraudsters. Please make sure you read as many as possible and ensure you know everything you should about your pension fund. If we can educated the masses about pension fraud we can stop the scammers in their tracks – worldwide. Here at Pension Life we are noticing a new type of pension scam – Fractional Scamming – please read our blog about this type of scam. Follow Pension Life on twitter to keep up with all things pension related, good and bad.